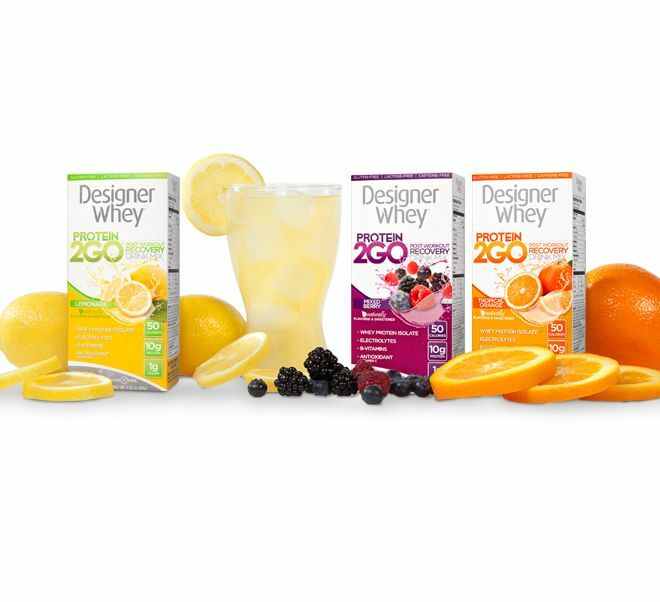 Don’t just drink water after your workout, give it a boost with Designer Whey Protein 2GO. It’s well known that we should have some sort of protein post-exercise to help grow and repair muscle tissue. Designer Whey protein is digested and absorbed quickly and is a perfect blend of amino acids that can boost muscle energy while stimulating that muscle recovery and growth. With only 50 calories plus electrolytes, B-vitamins to boost energy, and antioxidant vitamin C to promote a healthy immune system, these convenient, individual packets that come in 3 delicious flavors are just the thing to toss in that gym bag or backpack.